The Head of the Charles! It was a brisk fall day, but a gorgeous one along the river. Above are photos of Magazine Beach on Sunday, alas, after many of the singles and doubles sculls and their chilled rowers had returned home. 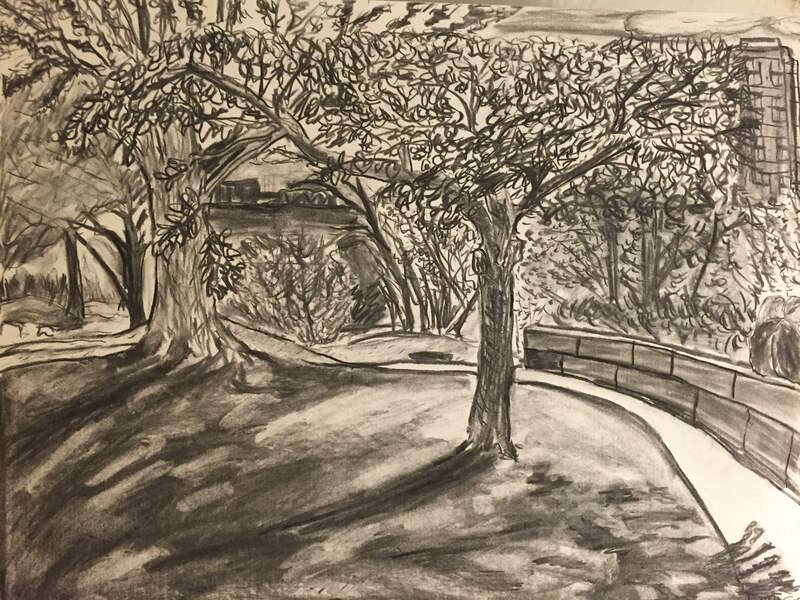 But the cold wind didn’t keep hardy Cambridgeport resident Hannah Lyons-Gallante from sketching at the park. See her charcoal drawing of the terrace below. Hannah, thanks for sharing this!